November is National Picture Book Month! 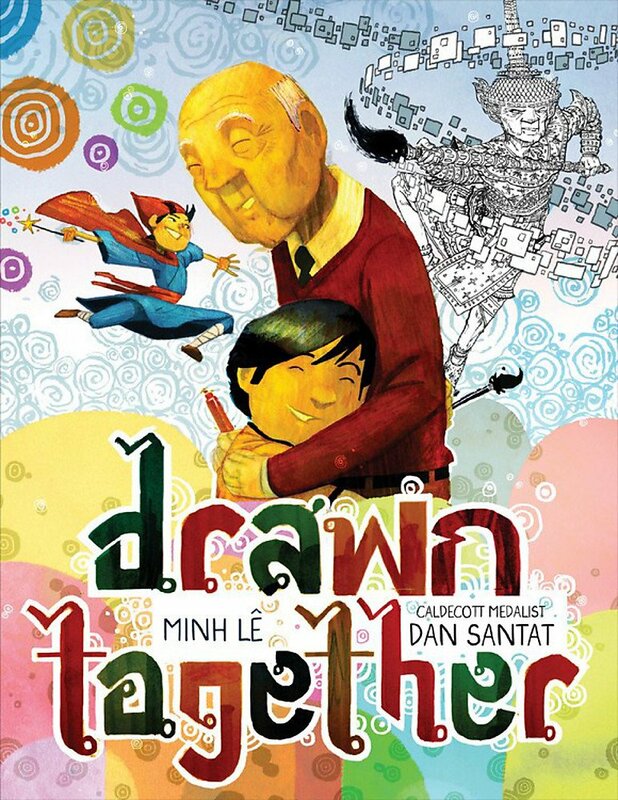 Here’s a collection of new picture books for the whole family. We don’t think you need an “excuse” to read a picture book, no matter what age you are (or what ages your children are). The National Picture Book Month page hasn’t been updated this year as of this writing, but we’re forging ahead anyway. Cozy up with some warm chai, snuggle with your kiddos of all ages, and enjoy these picture books together. 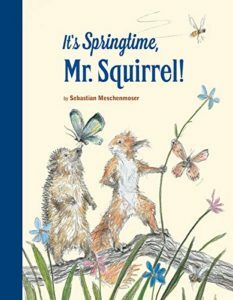 It’s Springtime, Mr. Squirrel by Sebastian Meschenmoser. (2018) We are big, big, big fans of Mr. Squirrel. In It’s Springtime, Mr. Squirrel, Bear, and Hedgehog wake up from their winter naps. Hedgehog has spied a lady hedgehog, love is in the air, and Mr. Squirrel knows just what to do to help Hedgehog put his best quills forward for guaranteed giggles. As always, with Meschenmoser’s books, don’t miss the endpapers. This is a follow-up to Waiting for Winter, so if you haven’t seen that one, be sure to check it out, too. All ages. Cabrera, Cozbi A. My Hair is a Garden. (2018) Miss Tillie’s home has a “glory,” and draws Mackenzie in for comfort when she is hurting. Kids tease her about her hair, and Mama doesn’t know what to do with it. Since Miss Tillie knows how to manage her own hair (it “has a glory”), Mackenzie looks to her for help. Recognizing that the girl’s longing for beauty leads to comparing her hair with others, Miss Tillie takes her out to the garden. Is a Japanese maple prettier than a succulent? Of course not. They both contribute to making a beautiful garden in different ways. 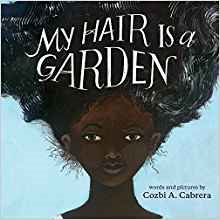 Like a garden, Mackenzie’s hair and opinions about what is beautiful need to be trained and nurtured to be healthy, and Miss Tillie’s kind mentoring is the encouragement Mackenzie needs. 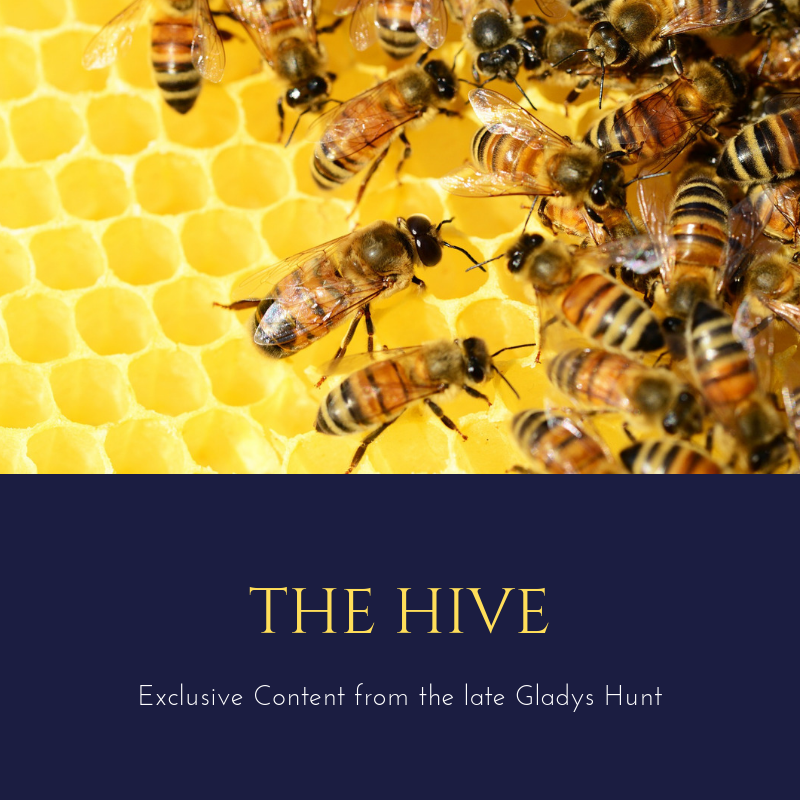 The last pages of the book include instructions on “Caring for Black Hair.” This is a beautifully-written story about loving your neighbor and offering a place of refuge that is gloriously irresistible. Arnaldo, Monica. Little Brothers & Little Sisters. (2018) It’s rough being a middle or younger sibling, because you are always being told what to do, left out of the fun, delegated to the less desirable spot, and generally getting in trouble. But there ARE advantages to having older siblings, because you have the opportunity to reconcile, get a boost, enjoy protection and expert advice, and have a best friend when it counts. 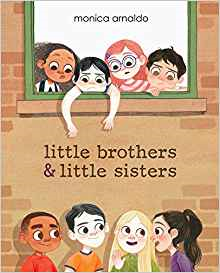 With simple text and eloquent illustrations, Little Brothers and Little Sisters will resonate with siblings who may be overlooked, but are not forgotten.